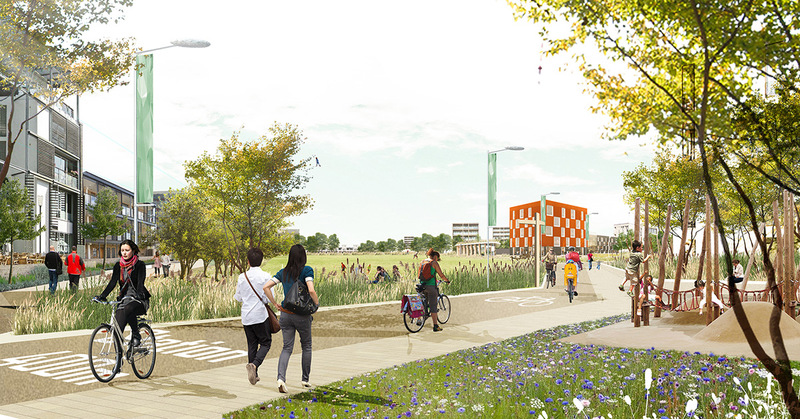 Car-free streets are at the heart of plans for 4,500 homes at a new town at Waterbeach, north of Cambridge. 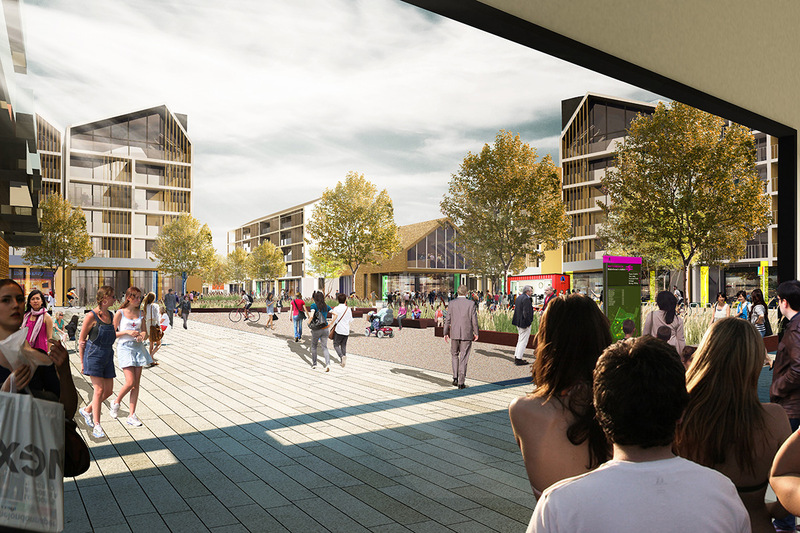 It is the first time that ‘sociable streets’ have been promoted in the UK at this scale. 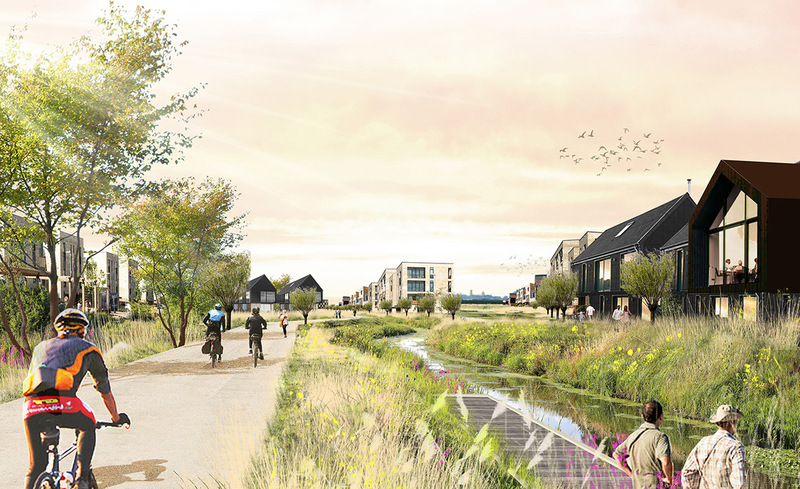 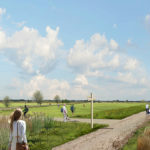 Waterbeach New Town East, masterplanned by LDA Design, draws on the dramatic Fen Edge setting to create a sociable, sustainable way of living. 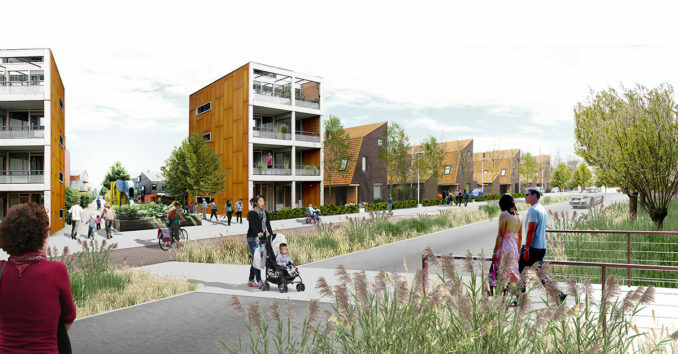 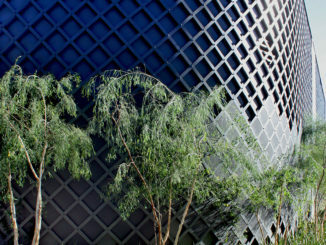 The masterplan provides a series of neighbourhood steads, reimagining residential streets and what they can offer. 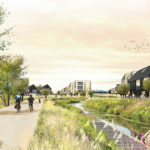 The outline planning application to South Cambridgeshire District Council has been submitted by RLW Estates. 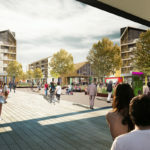 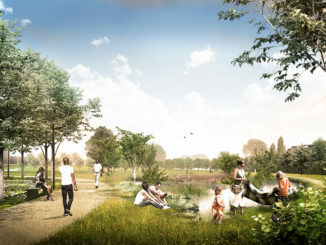 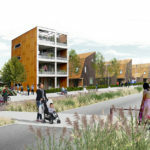 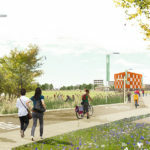 LDA Design’s Bernie Foulkes, who led the landscape-led masterplan, commented: “Each neighbourhood stead will comprise up to 400 homes, with its own character, landmarks and facilities.